Firstly, may I take this opportunity to wish you all the happiest of festive seasons. Also, I'd like to express my sincere gratitude and thanks to you for continuing to follow my photographic journey regardless of where it does or doesn't take me......So, here we have it, my last post of 2014!! It's really quite remarkable to think that this time last year I was preparing to leave the UK to spend Christmas in Rome, being both excited and frustrated with my newly acquired Sony A7r, how time flies!! Completion of my Darkroom/office . Managing to shoot more film than I have in any previous year. Developing my own C41 film. The successes really require little elaboration, film has dominated and I've learnt a lot, there can be no doubt about that. My failure to implement at least one of the two projects I had in mind. Second guessing myself.....all the time. Not photographing enough, despite having ample time. The failures on the other hand, well they probably do merit some further comment on my part. I've known for a few years of the need to have a more long term project, or two for that matter, I have a couple of great ideas, or at least I did....Certainly in the last year I have been beaten to at least one of them. I don't really want to elaborate further other than to say that I honestly do feel that I could do a better job. To that end it's still alive in my head! As I've said, reflection is good, it can however turn in to second guessing one's self! When this happens things can go down hill, fairly quickly....Needless to say there have been times over the past twelve months where I've second guessed absolutely every aspect of photography and what it means to me. Don't go there! I don't take enough photographs, poor time management and a lack of motivation on my part are the main contributors to this and quite clearly it can only be addressed by your's truly!! Having a choice between digital and film Rangefinder bodies, I'm just not prolific enough with film at the current time and as such I feel I'm missing shot's. Despite loving the look of film many of my favourite images are digital, film has taught my so much yet in a strange way I feel like I've regressed to some degree. I've neglected my Monochrom and my M9, cameras I still stand by and hold in the highest regard, using one of these and supplementing it with a film M is probably what works best for me. Along with carrying a 15/35/50 combination of lenses. So, after all I've said I'm going to finish the year with a few shots taken from a couple of days out, all on film!!! First up, a roll of Kodak Ektar 100. Usually I'd spend some time ordering the images but this time they are in chronological order, exactly the way I saw it. Taking a drive out towards Lake Tarawera there's very little in the way of civilisation on this particular drive, indeed the only people I came in to contact with was when buying coffee and paying for the permit to enter the park. These images are all from my Leica M5 - This is the M5 formerly owned by Rowland G Phillips Turner, you can read about how I came to own it HERE. Believe it or not I've had this camera for almost 3 years, it actually spent 2 of those years with DAG waiting for a repair. A long and frustrating story that did have a happy ending, the camera does work wonderfully now. Using the current 35mm Summicron f/2 Asph & 50mm Voigtlander Nokton f/1.5 Asph, two lenses I'd recommend to anyone. These images were developed at home on the JOBO CPP2 using the Digibase C41 Pre Mixed Kit, I've been really impressed with these. I've got maybe 3-4 rolls of developing left in them, after that I'll be mixing my own C41 Chemicals. 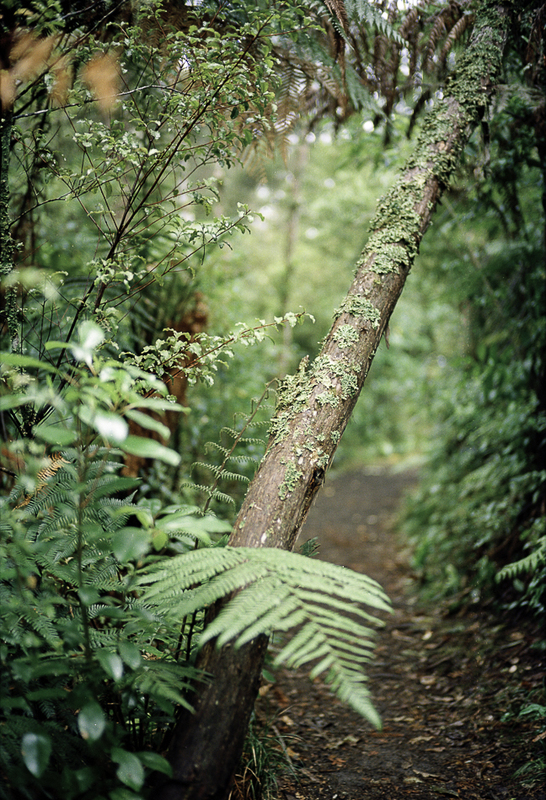 At the end of the drive theres a beautiful walk which terminates at the Tarawera Falls. A quick reference to the scanning in this post which was done using the Imacon 848. The Ektar images were converted from the Imacon's native .fff format to .tif and and processed using the Color Perfect Plugin for Photoshop CC. I've experienced mixed results with this plugin, formerly it was my recommended route when scanning with Silverfast or Vuescan, it doesn't always play nice with Imacon's scans though. That said I do like the results this time around. Further tweaks in Lightroom 5. From Boy's to Men and Back Again....?? 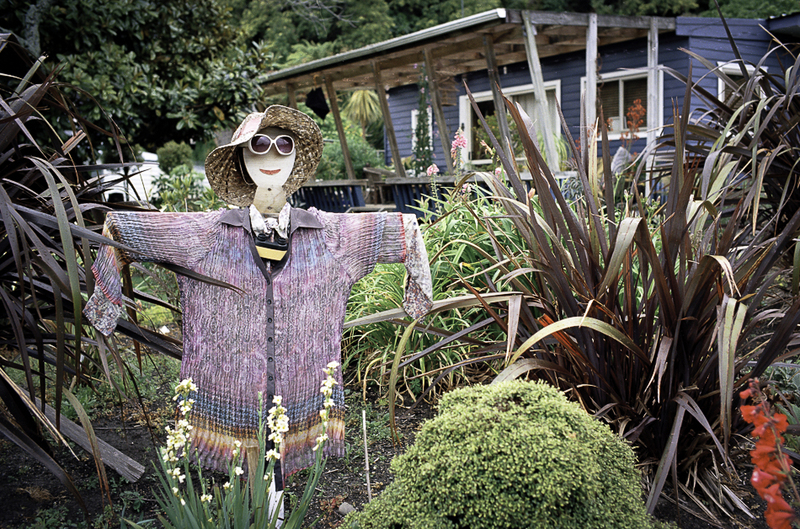 The "Mens Shed" is quite literally that, a place for old guy's to hang out and make stuff!! Simple. I did enquire about membership but was politely advised to come back in 20 years!! From memory you need to be 65 or over to join, they did kindly allow me to photograph their activities though!! Taken on my Zeiss Ikon ZM with 50mm Zeiss Sonnar f/1.5 Zm. These were effectively the test shots for the camera and this particular frame was my very first scan with the Imacon 848. A quick note on the Zeiss Ikon ZM, it had been on my list of wants for ages!! There are some things to like about it, mainly the 1/2000 Sec shutter speed and the expansive viewfinder, if you've already owned a Leica though, leave it. This Roll of AGFA Vista 200 was shot on the Leica M6 with 35mm Summicron f/2 Asph. That's my lot!! I wish you a wonderful New Year and we'll catch up again in 2015! !